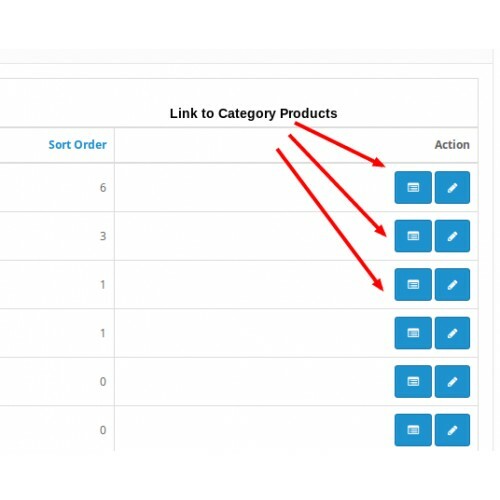 Simple extension adds an products link to categories list in admin area. 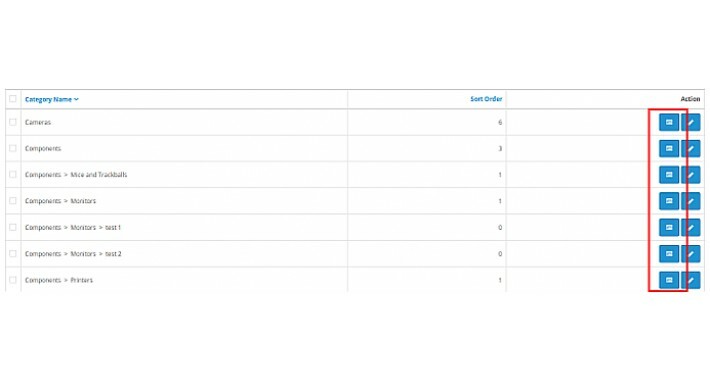 Now you can simply click the link in categories list and category products will be shown. If you are using OpenCart 1.5.x then you will need to install vQmod extension. Just copy an xml file to vQmod xml folder. If something goes wrong - you can rename this file like .xml~ (it will disable plugin) and then contact me with your issue. 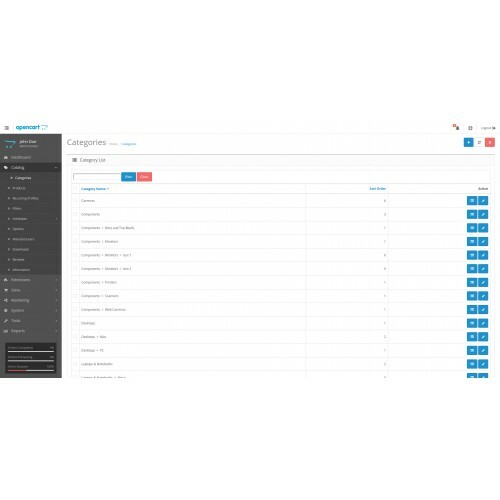 If you are using OpenCart 2.x or 3.x then you can use integrated modification engine. Just open Admin backend and go to Extensions -> Extension Installer. Upload ocmod.xml file. Then go to Modifications and press the Refresh button. That's all. Extension is enabled now.